The French builder Amel has long been a unique player in the cruising market and their boats have been likened to the Citroëns of cruising boats because they are technically advanced and slightly quirky. The current generation of Amels are the 55 and 64, both of which are ketches with center cockpits. The boats come with a long list of standard equipment, selected by the builder from years of experience, and installed in what they deem the best way. One look at the engine room and you will know the boats were designed by cruisers for cruisers. The interiors are now luxurious and roomy and very well laid out. Both the 55 and 64 are boats you could sail around the world quite happily. This year, the company is launching a new 50 footer that promises to carry on the company’s reputation for innovation. 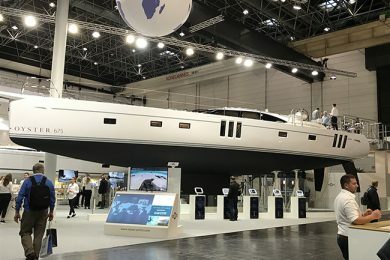 Bavaria Yachts in Germany is a rapidly growing and evolving builder that last year added the Nautitech brand of catamarans to their stable of companies. 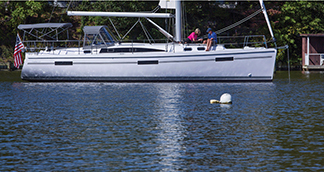 Bavaria offers two basic brands of cruising boats, the Cruiser and Vision lines. Designed by Farr Yacht Design, the boats have voluminous hulls that offer plenty of interior space yet are notable for being very good sailing boats. The Cruiser line offer traditional aft cockpit cruising sloops from 34 to 51 feet. 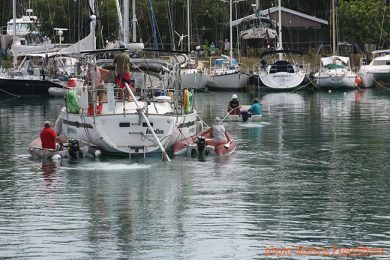 The larger boats have twin rudders; all of the boats have fractional rigs. The Vision line offers two models, the V42 and V46. Both are raised-deck salon designs with large living areas below and very comfortable cockpits above. New for 2017 is the C57 luxury cruiser that takes all that is good in Bavaria production boats and adds more yacht style and quality. The C57 is a proper yacht. 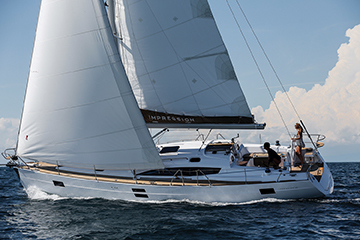 Beneteau remains the most popular brand of sailboats in the world and you will see huge displays of both sail and powerboats at the fall shows. 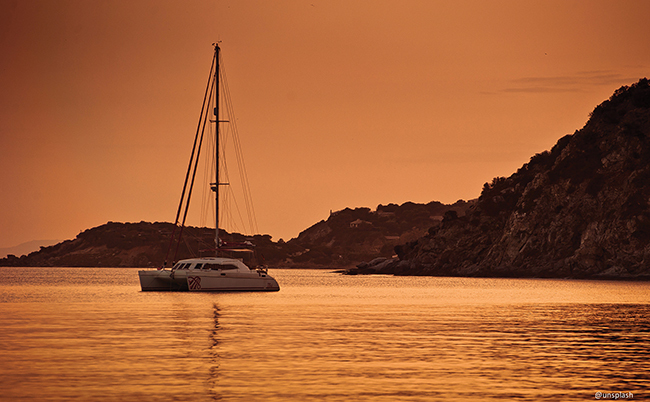 The company has four main brands: First, Oceanis, Oceanis Yachts and Sense. First includes performance boats from 20 to 35 feet; Oceanis is the main cruising line with nine models from 31 to 60 feet; Oceanis Yachts offers a handsome and spacious 62-footer; and Sense offers four radically modern models from 50 to 57 feet. The new boat for the fall of 2017 is the 51.1 and offers a long leap forward in design and styling. The boat has a nearly full-length chine and a very wide flat stern so it looks similar to some of the latest IRC designs or even the open class designs (Class 40, IMOCA 60) that professionals race in Europe. But, despite the bow sprit for a reacher, the 51.1 is a cruiser compete with a huge fold-out gas grill and vast cockpit with sunning benches. The boat comes in three versions and has enough options to provide a buyer with up to 700 variations on the theme. 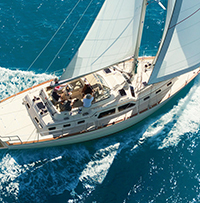 America’s largest sailboat builder, Catalina has introduced more Americans to sailing and cruising than any other company and after more than 60 years is still at it building solid, wholesome cruising boats that perform exceptionally well. 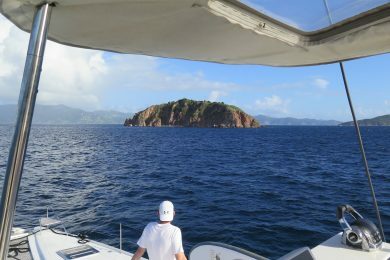 Catalina owners are a loyal family of sailors and it is not unusual for a family to own several Catalinas over their sailing lifetimes. 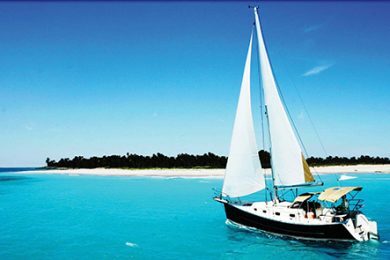 The company offers three categories of sailboats: the Sport Series with boats from 12 to 27 feet; the Cruiser Series with two boats at 31 and 35 feet; and the Ocean Series with three models at 38, 42 and 44 feet. 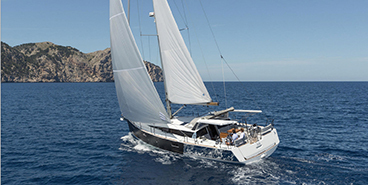 The newest Catalina is the Ocean Series 425 that was launched last year. 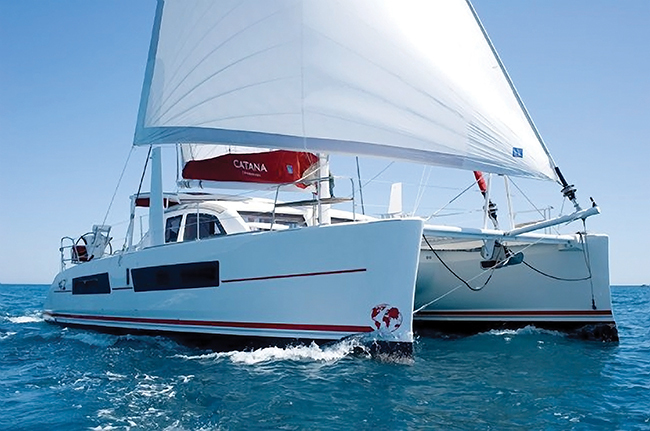 A thoroughly modern design, the 425 combines traditional Catalina values with such innovations as a long waterline for speed, a short bowsprit for downwind sails, a self-tacking jib option, a foredeck sunning area, twin wheels and a large cockpit. Down below, the finish is still American traditional with varnished teak bulkheads and solid, louvered teak doors, and drawers. As the company likes to say, the closer you look at a Catalina, the better it gets. 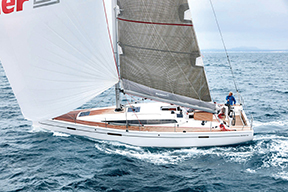 The German builder Dehler, which not long ago celebrated 50 years in business, has long built high quality, modern racer-cruisers in the European tradition. 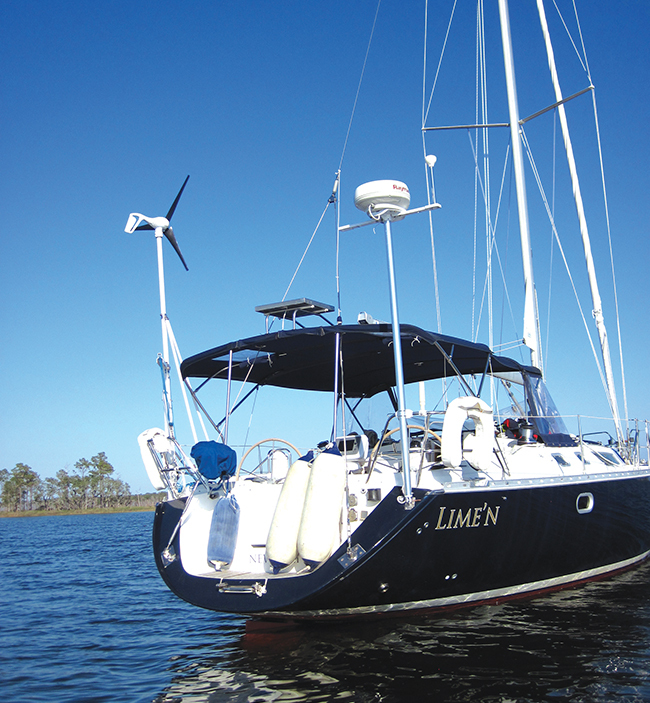 The boats have performance hulls with deep keels, narrow hulls and tall fractional rigs. The interiors are handsomely finished but more spartan than pure cruising boats. 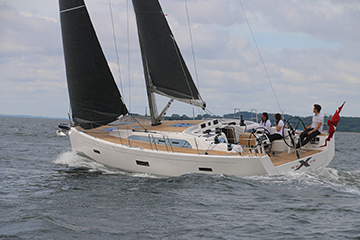 The new Dehler 42, near the top of the company’s model range, is a fast cruiser that will acquit herself ably on the race course or in point to point events. Plus, with three cabins and a comfortable saloon, the 42 will make a fun and exciting boat to cruise. 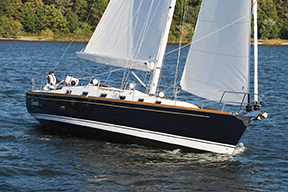 Dehler was purchased in 2009 by Hanse, also a German builder, and today has dealers in all of America’s popular cruising areas. Dufour Yachts was launched in La Rochelle, France, by Michel Dufour in 1964 and has been building modern cruising boats ever since. 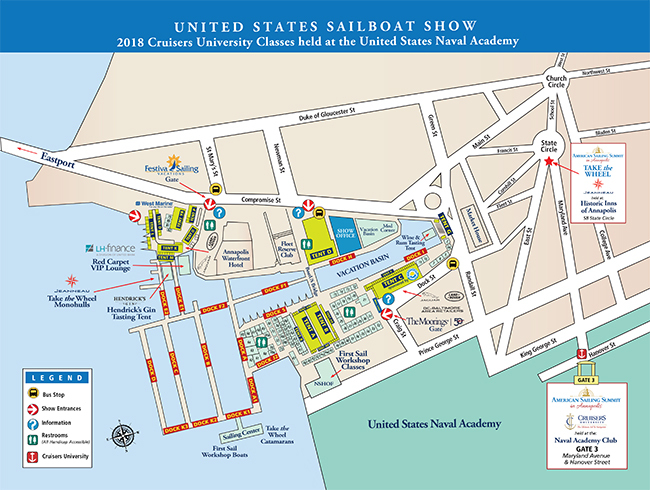 Today the company offers three ranges of models: the Grand Large brand with six models from 31 to 52 feet; the Exclusive range with two boats at 56 and 63 feet; and, the Performance line with one racer-cruiser at 36 feet. 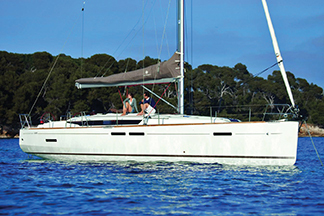 Dufour is one of the most popular brands in France and throughout Europe, rivaling Beneteau, Jeanneau, Hanse and Bavaria for number of boats sold annually. The new boat for 2017 is the Grand Large 520, which may be one of the most innovative and aggressively modern boats on the market. It has a plumb bow and a bow sprit, a very flat sheer, a huge open cockpit and a transom that folds down to make a two-tiered swim platform. The gas grill is in the aft end of the cockpit. Down below, the galley is forward of the saloon so the area at the foot of the companionway is wide open and access to the two heads and two after cabins very easy. The master stateroom forward is enormous. The GL 520 will astonish you with its size, interior volume and thoroughly modern styling. The Slovenian company Elan started life 60 years ago building skis and developed a worldwide market for their fine products. Following on that success, the company launched into the sailboat business 20 years ago and has had a similar resounding success with their products. 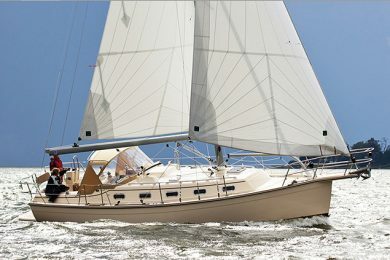 Still not well known in the U.S., Elan produces three brands of sailboats: The Elan brand has four basic models of racer-cruisers from 20 to 40 feet and has developed the S models or Sports to fill out the line with a total of eight; the Impression line is devoted to cruising sailors and has models at 40, 45 and 50 feet; and, there is the Gran Tourismo line that offers the GT 45 high performance race-cruiser. The Elan boats are distinctive with their hard chines, slab-sided hulls, plumb bows and open transoms. Impressions are more traditional, modern raised-deck salon models for family cruising. And the GT45 is an Elan on design steroids that will offer the modern construction, tall rig and high sail area to displacement ratio that will give the best performance possible. 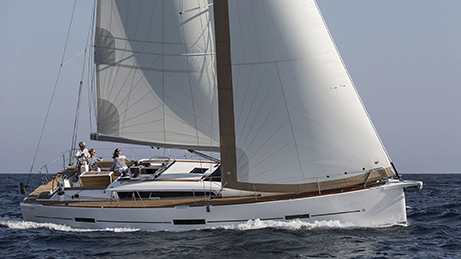 Hanse may be one of the most innovative sailboat builders in the world. 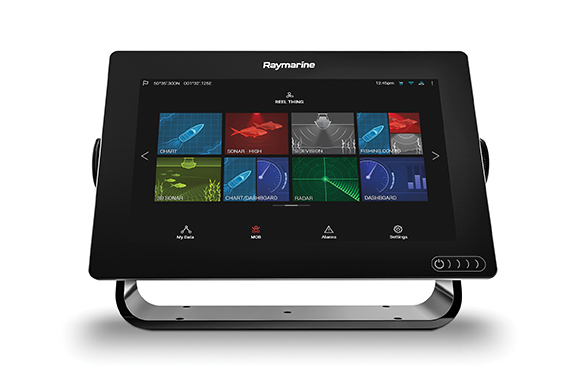 The company pioneered robotics in the assembly line, they have pushed the limits of cruising design at every corner and have really established the viability of family cruising boats in the high 50 and 60-foot range. The company builds cruising sloops from 31 to 67 feet, with five of those models at over 50 feet. This year they are introducing four new models, the 348, 388, 418 and 548. The boats have hugely voluminous hulls with high topsides and low coach roofs. They look big and are big. The standard rigs will have a full battened mainsail and a 90 percent working jib on a self-tacking traveler forward of the mast. The anchor roller extends from the plumb bow so a reacher or Code 0 can be set freely for downwind sailing. 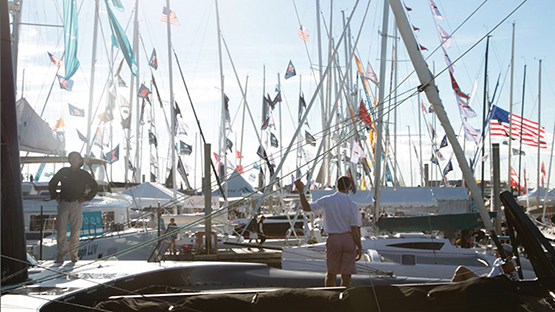 Hanse’s following in the US is growing rapidly, so check them out at the boat shows. Island Packet is back. This year Darrell and Leslie Allen acquired IPY, Blue Jacket and Hake Yachts from Ted Gelov and have set out to reinvent this venerable company and its brands. They have new boats in build as we go to press and have commissioned a new design from founder Bob Johnson in the 38-foot range. Island Packets have the IPY Full Foil keels with attached rudders and their props housed in an aperture between the keel and the rudder. This is very safe and conservative. 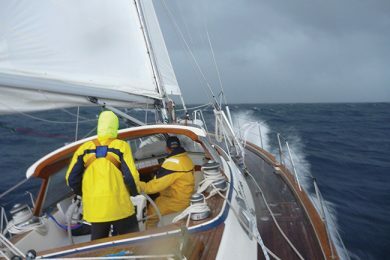 The cutter-style rigs are modest and equipped with Hoyt Jib Booms on the staysail, fully battened mainsails and roller furling head sails. Down below the accommodations are well designed for couples or families that spend a lot of time at sea, with excellent galleys, heads and sleeping berths. Island Packets have logged millions of sea miles and made many circumnavigations. J/Boats hasn’t been building a lot of cruising boats in the last decade or so and their best-selling boat currently is the J/70, which has built huge fleets worldwide. 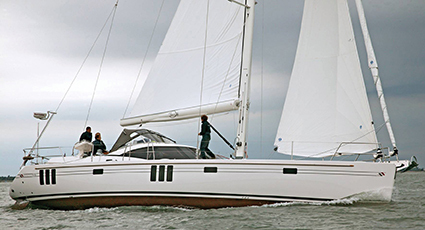 For the last couple of years, they have been offering racer cruisers like the J 112 E, with the E standing for Elegance and Evolution. The 112 is a swift sailing fractional-rigged sloop that will compete well around the buoys or on distance races and will also be a comfortable and “elegant” floating home for coastal cruising. In 2017 J/Boats will introduce the new J121, a 40 footer that is designed for distance racing and point-to-point events with a small crew of five or even four aboard. The crew at J/Boats realizes that skippers who want to race do not want to have to organize, feed and sometimes pay airfares for 8 to 10 crew to compete in a 40 footer. The 121 solves that problem in a design with a skimming dish hull, broad powerful stern section, plumb bow and a powerful but easily handled fractional rig. 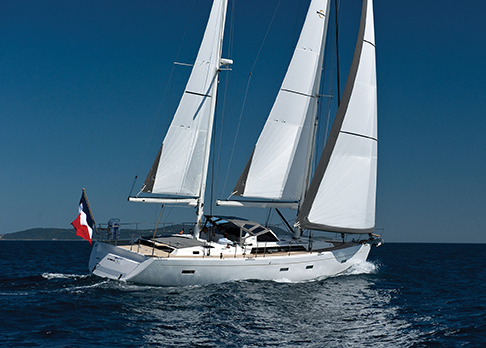 French builder Jeanneau is a subsidiary of Group Beneteau and a sister company to Beneteau. 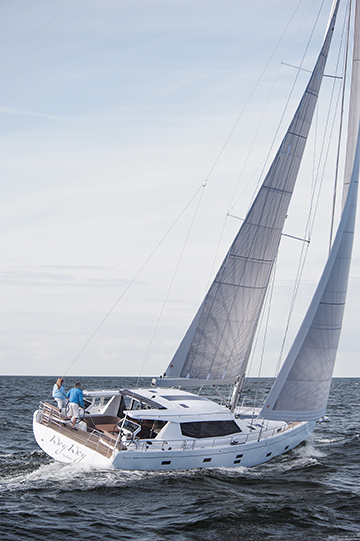 The company builds four lines of sailboats: the Jeanneau Yacht line that has four models from 51 to 64 feet; the Sun Odyssey line that has eight models from 34 to 51 feet; the Sun Fast line that has the 3200 and 3600; and the Deck Salon line with two models at 41 and45 feet. All designed by Philippe Briand, the Jeanneau family of cruising and racing boats has stuck with a fairly traditional approach to building cruising boats, with handsome classic hulls, simple cruising rigs, huge cockpits and attractive, somewhat tradition interior accommodations. Until 2017, that is. This year the company is launching two new models, the 440 and 490. The new 440 will be at the Annapolis show and the 490 will be introduced at the Miami show in February 2018. Both designs have hulls that look like they evolved from the latest Class 40s, with hard chines, flat underbodies, plumb bows, square, broad fold-down transoms and slab sides with huge tinted windows. There are so many innovations on these new boats, it will take you hours to check them out at the shows. A venerable English boat building company that laid its first keel in 1827, Moody is now a brand that is owned by Hanse Yachts in Germany. When Hanse took over the brand they developed two all new lines, one with aft cockpits and one with raised deck salons. The boats are built in the Hanse facilities in Germany. The aft cockpit 41 and 45 are traditional, handsome sloops with fairly modest beams, attractive bows and sterns and straightforward sloop rigs. Down below the ambience is old school traditional but very nicely done. The deck salon models are very different with thoroughly modern hulls, a broad beam that is carried aft and a tall, all roller furling rig. The deck salon puts the main inside living area on the same level of the cockpit and the top of the deck house runs aft to form a rigid bimini over the cockpit. The helms are raised on the cockpit corners so you can see forward. The name Moody has a long proud tradition and under new management, the tradition lives on. 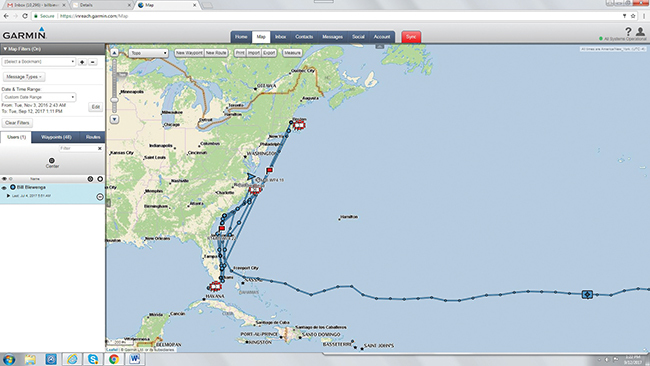 Outbound builds boats for couples and families that are really going places, like across oceans or around the world. They build the original 44-foot, Carl Schumacher design and the same hull with a large sugar scoop stern at 46 feet. This is a two-boat company that has been in business for 18 years and has been building five to 10 boats a year. Each boat is built to order and each can have a lot of input from the buyer and owner. The concept was to create a couple’s boat that could be easily handled from the cockpit by a lone watchstander and that would provide high average speeds over the long haul. 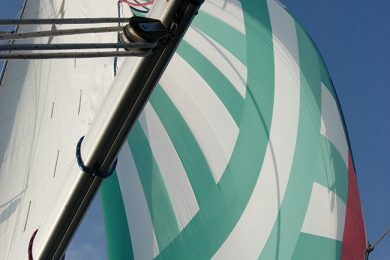 So, the hull is fairly narrow to be easily driven, the waterline is long for speed and volume, and the rig and sails are set up so the main and both headsails can be handled from the cockpit. 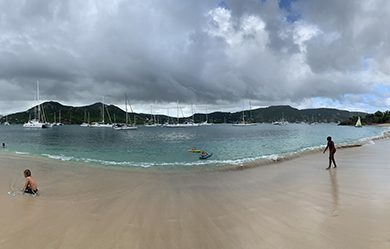 In the early edition of the Salty Dawg Rally, seven Outbounds showed up for the rally to the Caribbean. If you are looking for a really salty, modern couple’s cruising boat, Outbounds should be on your list. Passport has been building solid, traditional and luxurious cruising boats for three decades or more. Built in Taiwan, the boats today show all of the evolution in craftsmanship that has taken place there since the early days. Today’s Passports are exquisite yachts designed and built for yachtsmen who need a proven blue water boat that is also a testament to the long traditions of yacht-style. The boats have plenty of varnish on the outside and lots of finely fitted teak on the inside. The company offers three categories: Voyager, Vista and Classic with both center and aft cockpit models. 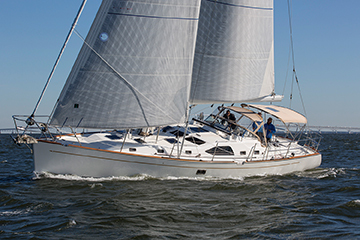 The Classic 470 and the Vista 545 are scheduled to be at the Annapolis Sailboat show this October. 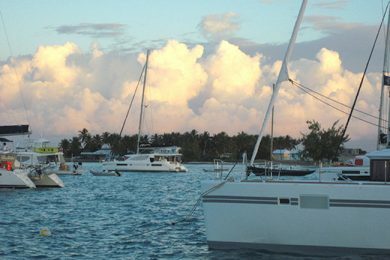 For many skippers, a Passport is their ultimate cruising boat and often their last blue water boat, the boat that will let them sail over the horizon and fulfil their long held dreams in elegance and style. The Brits have a way with high quality, innovative luxury cruising boats. Think of Oyster, Moody (in the old days) Rival, Discovery and Southerly. These brands are dyed in the wool offshore cruisers with a North Atlantic flare. In June, Southerly, which had run on rough financial times after the recession, was purchased by Discovery Yachts who will continue to build boats and fulfill orders. Distinctive for their innovative swing or drop keel, Southerly yachts are finely crafted and interesting cruising boats that appeal to skippers who need or want to sail in thin water. 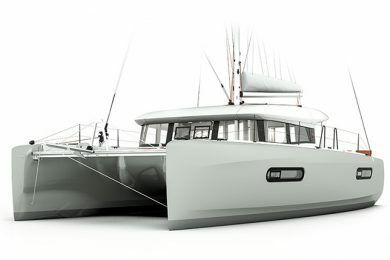 Discovery announced in June that they would be launching a new Southerly design in September, so stand by. 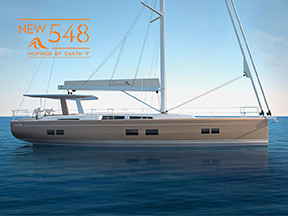 The Southerly 535 will be in the Annapolis show. Tartan Yachts has been through a series of iterations over the last decade with ownership changing hands and attempts to restructure and resuscitate the company. Tartan is an American treasure as one of the leading and longest surviving boat builders of high quality cruising and racing yachts. And it survives today. The company also builds Legacy powerboats so they have diversified. And they still are building their seven models of sailing cruisers from 34 to 53 feet. Unlike most builders, Tartan sets out with each boat to build an heirloom quality vessel. The hulls are epoxy laminates, not polyester, and their spars are all carbon fiber laminates, not aluminum. If you buy a Tartan today and look after it, you can feel confident that your grandchildren will get to enjoy it too when their time comes. Look for the Tartan 345 and 4300 at the Newport and Annapolis shows. This Danish builder has the reputation of building fast, competitive racer-cruisers for the very active European regatta scene. May of their designs have been champions while also providing their crews with comfortable, simple accommodations. Today, however, the company has edged into the luxury side of the market and has both split the line between racers and cruisers and upgraded the quality across the board. If you think of the high quality boats that come out of Sweden and England, you need to include X-Yachts in the category. X-Yachts has not made a big marketing push into the American market but they will have an X4 on display in Annapolis where you can get a feel for just how special these boats are from both a performance and luxury perspective.